The overall business intelligence (BI) landscape is a healthy one according to the latest report from Dresnor Advisory Services. The latest 2018 Wisdom of Crowds Business Intelligence Market Study – all 187 pages of it – asserts that better decision making is the most important facet for BI this year, alongside improved operational efficiency and growth in revenues. By James Bourne, 13 June 2018, 0 comments. Categories: Big Data, CIO, Data & Analytics, Mobile Analytics. By Louis Columbus, 19 March 2018, 0 comments. Categories: CIO, Marketing, Mobile Analytics. What mobile trends should enterprises expect in 2017? 2016 will be regarded as the breakthrough year for workplace mobility. With employees leading the smartphone-revolution, businesses are now leveraging mobile (and other) technology to create a more engaged, efficient and connected workforce. By Paul Jarrett, 12 December 2016, 1 comment. Categories: Mobile, Mobile Analytics. The latest mobile growth figures from analytics provider Flurry have revealed app usage has grown by 58%, with every category – excepting games – seeing figures go up. By James Bourne, 07 January 2016, 0 comments. Categories: Enterprise Mobility, Mobile, Mobile Analytics, Productivity. Many financial services organisations have recognised that mobility is essential to better engage and meet their clients’ needs, particularly the younger generation. By Burley Kawasaki, 26 May 2015, 0 comments. Categories: Employees, Enterprise Mobility, Mobile Analytics. Take a deluge of real time data from Twitter and combine it with Watson, IBM’s Jeopardy-winning, illness diagnosing supercomputer. What do you get? With a bit of luck, a business which can spot trends and insights and incorporate it into their decision making process. By James Bourne, 30 October 2014, 0 comments. Categories: Enterprise Mobility, Mobile Analytics, Social. By Louis Columbus, 29 October 2014, 0 comments. Categories: Enterprise Mobility, Mobile Analytics. At an analyst gathering a few weeks ago, SAS termed Hadoop its strategic development platform for new analytics tools going forward. SAS is ramping up new products and enabling its existing portfolio to work natively in Hadoop. Its advantage starts with a wide and deep library of analytic functions and established data management capability. By Ovum StraightTalk, 11 April 2014, 0 comments. Categories: Big Data, Enterprise Mobility, Mobile Analytics. Despite the increasing interest in mobile apps at the enterprise level, we’ve realized something interesting in our time within the industry: many companies have no idea what it costs to create and support an app (for the record, from development, to testing, to support, an app could cost in the ballpark of $50-100 thousand over its lifetime). By App47, 07 March 2014, 0 comments. Categories: Development, Enterprise Mobility, Mobile, Mobile Analytics. By Ovum StraightTalk, 27 February 2014, 0 comments. Categories: Enterprise Mobility, Mobile Analytics. Apple has acquired social media search and analytics start-up Topsy Labs to better understand the needs of users of its smartphone and tablet devices and cloud services. Topsy specializes in analyzing the Twittersphere in realtime, gleaning customer sentiment and trends such as most-often-tweeted terms, key influencers on specific topics, and reaction to marketing campaigns. By Ovum StraightTalk, 03 January 2014, 0 comments. Categories: Big Data, Enterprise Mobility, iOS, Mobile Analytics, Social. Two years ago, we wondered what Hadoop would be when it grows up. Back then, it was a matter of what were the components that defined the Hadoop stack. Today, the question is more about Hadoop’s role in the enterprise analytics ecosystem. By Ovum StraightTalk, 21 November 2013, 0 comments. Categories: Big Data, Design, Development, Enterprise Mobility, Mobile Analytics. With analytics and big data being so heavily hyped today, it is ironic the majority of business analysts often lack access to data and tools they need. By Louis Columbus, 04 November 2013, 0 comments. Categories: CIO, Enterprise Mobility, Mobile Analytics. Is Splunk a company in transition with Hunk release? Big data cruncher Splunk has today announced the general availability of its Hunk analytics product, which is a full-featured integrated analytics platform for Hadoop. Just a few weeks after the announcement of Splunk Enterprise 6, the availability of Hunk gives the company’s ecosystem a more rounded offering, with the platform built on patent pending virtual index technology. By James Bourne, 29 October 2013, 0 comments. Categories: Big Data, Development, Enterprise Mobility, Mobile Analytics. By Ovum StraightTalk, 17 October 2013, 0 comments. Categories: Cloud , Enterprise Mobility, Mobile, Mobile Analytics. 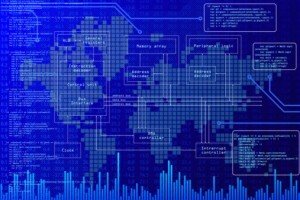 Big data darling Splunk has released the latest iteration of its enterprise platform, which gives all facets of the workforce the chance to access key data and operational intelligence. The move takes a step towards business commoditisation, bridging the gap between IT and the rest of the organisation. By James Bourne, 02 October 2013, 0 comments. Categories: Big Data, CIO, Development, Employees, Enterprise Mobility, Mobile Analytics. As part of our continuing series on defining MAM beyond technical terms, we’re taking close looks at its impact on various functions throughout an organization. Last week we talked about MAM and marketing. This week, let’s dive in to how MAM is proving to be a catalyst for faster, more efficient operations throughout an organization. By App47, 26 September 2013, 0 comments. Categories: Enterprise Mobility, MDM, Mobile Analytics, Security. By Ovum StraightTalk, 18 September 2013, 0 comments. Categories: Cloud , Enterprise Mobility, Mobile Analytics. By Ovum StraightTalk, 09 September 2013, 0 comments. Categories: Cloud , Enterprise Mobility, Mobile Analytics.